*This post was sponsored by WaterWipes as part of an Influencer Activation for Influence Central. I received complimentary products to facilitate my review. Welcome to A Sampling Bee! 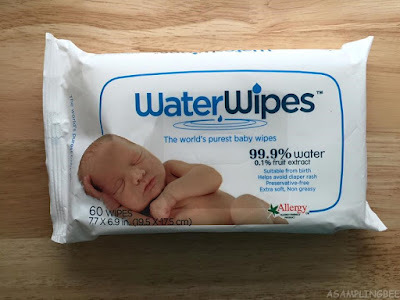 Today, I share with you WaterWipes. WaterWipes are the World's Purest Baby Wipes. Read my review below to find out more information. Clean your babies sensitive bottom with WaterWipes! WaterWipes, a premium European brand, have been carefully designed to be gentle on babies sensitive skin. 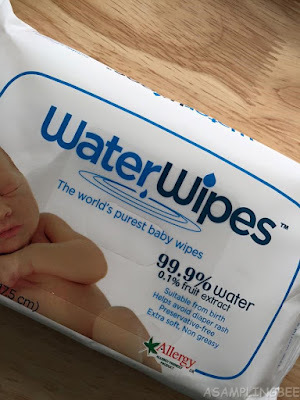 WaterWipes are 99.9% water. The 0.1% is grapefruit seed extract. (Grapefruit seed extract is one of natures anti-microbial agents.) That is it! The wipes do not contain any harsh chemicals and they are ultra-mild. Which is good because you will not have to worry about your baby getting a bad diaper rash or any other skin condition. 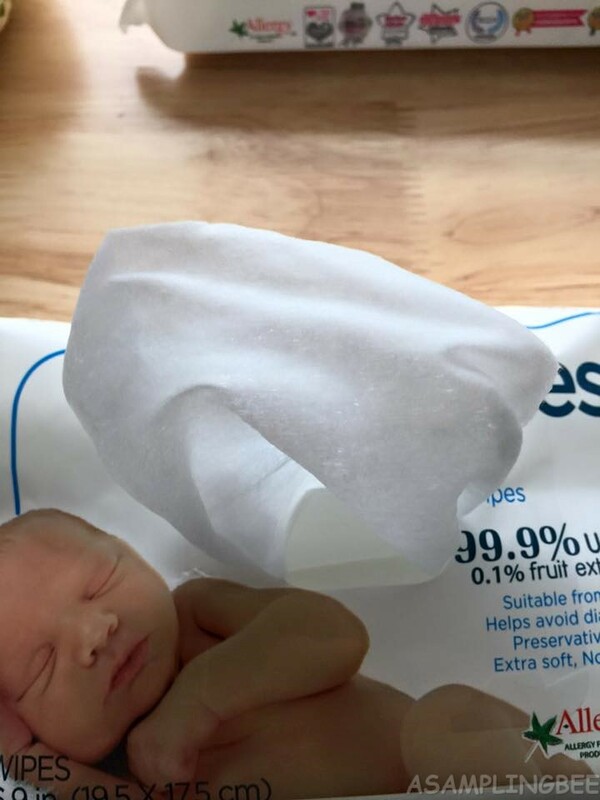 The wipes are safe to use from birth and so on. They are hypoallergenic, free from preservatives and they significantly reduce the risk of allergic reaction on the skin. The wipes do not contain any preservatives. Which means, a container of WaterWipes should be used up within a month. A package of wipes will hold up for 15 months if unopened. 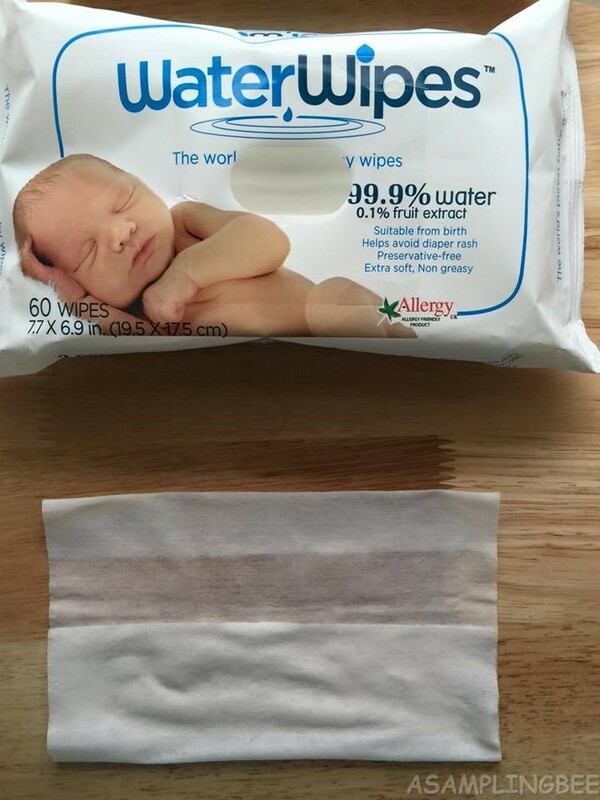 WaterWipes are not interfolded. This allows for the sterile environment within the package to be maintained. For the same reason, it is recommend that you do not relocate the wipes to an alternate container. Shopping at Giant is always a pleasant experience. I called the location nearest to me to see if they had WaterWipes in stock before I went. The woman that I spoke to was very helpful. She went to check to see if Giant carried the wipes and to see if they were in stock. Arriving at the store, I knew exactly where the bay aisle was because I shop at this location frequently. The wipes were easy to find on the shelf. Available at this location were the 60 count packs as well as packs of 240 wipes. The wipes were well stocked. I am in love with these wipes! They are super soft. 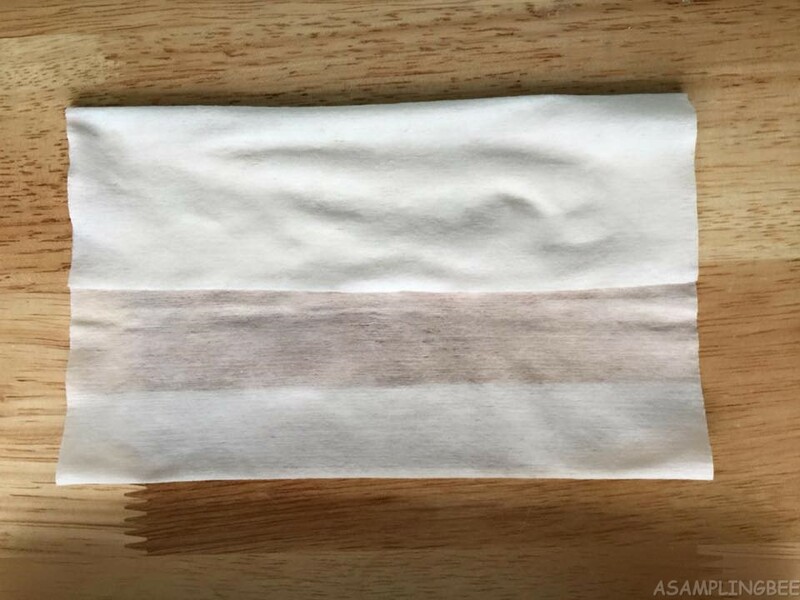 I used them to wipe my hands to test how they felt on my skin. The wipes are gentle. Not scratchy at all. I noticed that the water left on my skin after wiping dried quickly. WaterWipes did not leave my hand feeling greasy. They left my hands feeling clean and moisturized. They cleaned my babies bottom well. I have noticed no redness on my babies bottom after wiping it with WaterWipes. No irritation occurred. I am a huge fan of Waterwipes and I will NOT buy any other brand of wipe again! :) I recommend these wipes! I believe that they should be in every hospital in the U.S. Having WaterWipes available, instead of pieces of cloth that you have to wet yourself, would be so much more convenient for new moms. The wipes are $4.00 for a pack of 60. They are well worth the money! Do you know how many different chemicals that are in your babies baby wipes?? They are available for purchase online at Amazon, Walgreens.com. As well as in store at Giant, Target, Walgreens. Just to name a few :) Visit Waterwipes store locator to find them in a store near you. 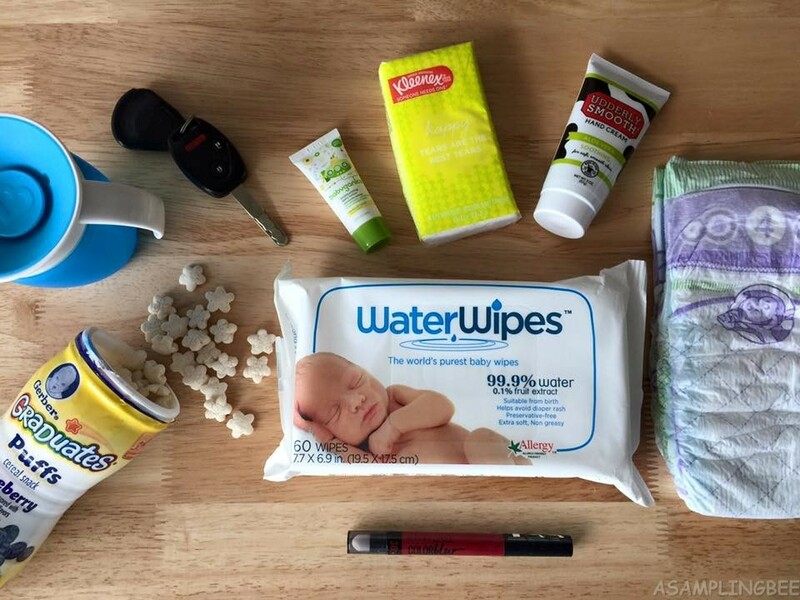 Visit Waterwipes Store Locator to find them in a store near you.